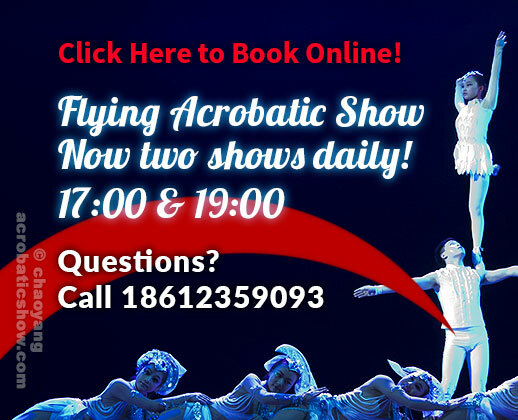 Chaoyang Theatre is proud to present, "The Flying Acrobatic Show". 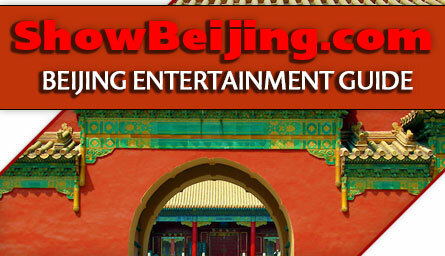 Performed by highly-trained Chinese acrobats & circus performers, known as the Beijing Acrobatic Troupe. 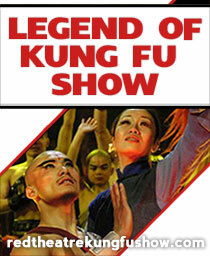 Action packed with outstanding feats, beautiful choreography, color and excitement — the show is one of the favorite nightlife venues in the wondrous "City of Peking". From contortionist acts to high wire stunts, this performance has it all. Now is your chance to witness the most extreme acrobat skill in China, at the theater known to be the best acrobatic show in Beijing. Book online, before the seats are sold out. 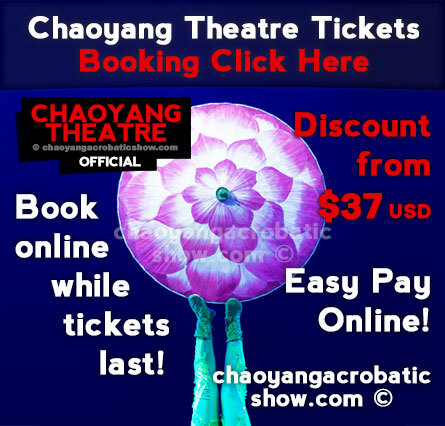 We are the Chaoyang Theater official website: Pay tickets in advance by all major credit cards and pick up tickets directly from the theater ticket window. Our discount ticket price is the lowest box office price on the web. Please note! Discount tickets not available without advanced booking, at least two hours before show starts. — For inquiries, please use the contact form or call us at 18612359093. 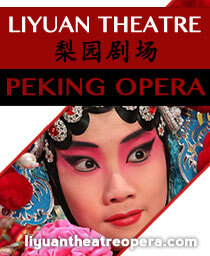 Chaoyang Theatre is conveniently located in the central "Chaoyang District" of Beijing/Peking, China. We recommended taking the subway as taxies are difficult to find during rush hour. The Hujialou station is right next to the circus venue on metro lines 10 and 6 (exit C).